I hope you guys had a great weekend. I feel like every weekend in December is packed with fun holiday things to do. This is the last full week before Christmas so it will be a rush to get everything done. But I love this time of year and love being busy with Christmas traditions and activities. Another thing I love is holiday get togethers and parties because it means you can get all dressed up! Today I have a giveaway for you from eShakti and they have the perfect selection of holiday attire. I just love their customizable clothing. It's often hard to find a piece of clothing that has the sleeve length and skirt length that you want. And with eShakti you can do that. I am always checking their New Arrivals because they continually have new stock. 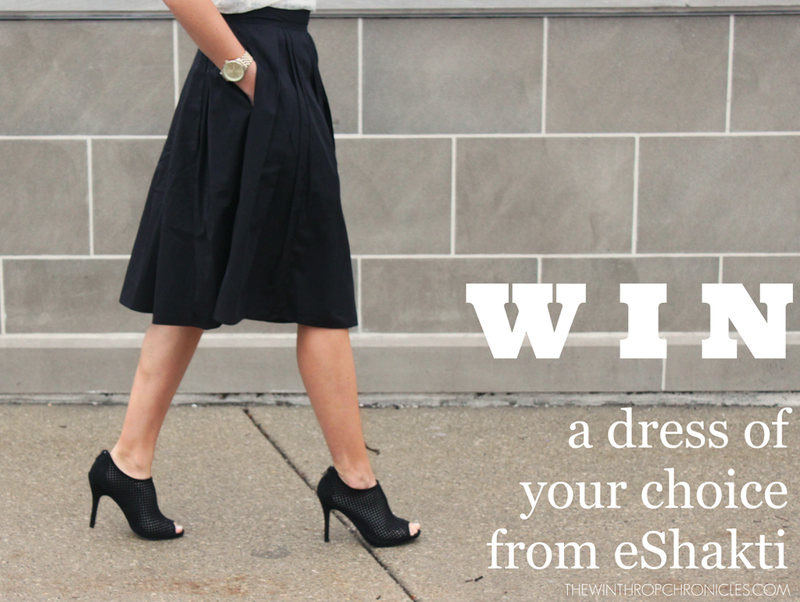 Today eShakti is offering one of you any dress of your choice. Just enter the Rafflecopter giveaway below.